Our hand crafted, realistic looking human eyeball props are now available as prepped eyeballs in formaldehyde. Of course they are the anatomically correct size and have the realistically painted veins that you are used from our products. Available in an array of different colours. People loved our eyeballs, but were always asking for suggestions on what to do with them. We solved that problem for you! 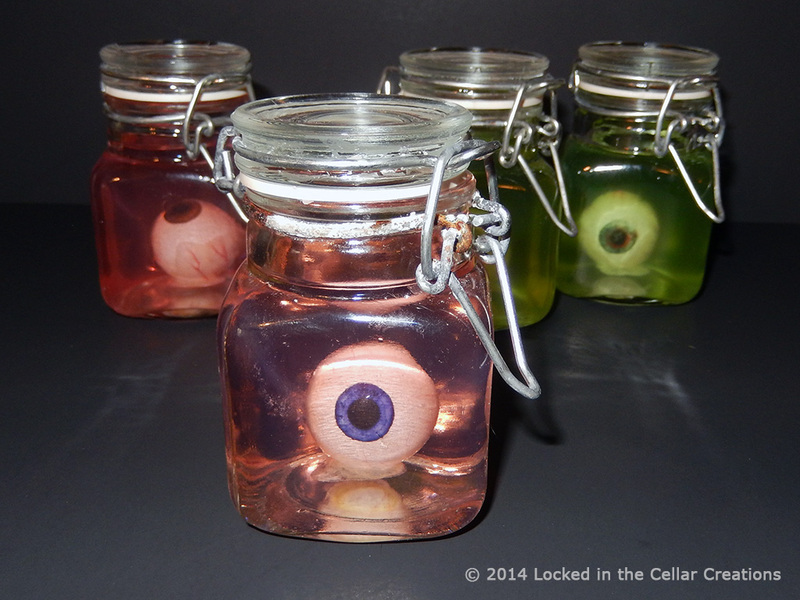 The eyeballs are now extra creepy as ready-to-go props, preserved in little jars. As opposed to eyeballs from Halloween stores, we try our hardest to get our eyeballs as realistically looking as possible. They are the anatomically correct size, the veining is very lifelike, and the glossy finish makes them look very fresh.